The cartoon aims at informing us of the significance of communication. Definitely，No one can deny the importance of it. Communication will enable us to achieve our objectives more rapidly. By communicating frequently and smoothly, we can have a better understanding among each others, reduce unnecessary conflicts and frictions and thus eventually improve the efficiency of cooperation. To further illustrate the importance of communication , I would like to take the Apple Incorporation as a case in point: how could it, with so many departments, staffs from diverse countries and backgrounds inside, and branch offices allocated all around the world, finally operate smoothly and achieve unprecedented market profits without an efficient communication. From my perspective , at no time should we underestimate the power of communication. when misunderstanding others, we should communicate with them initiatively and detect the truth underlying bias. communication is the lubricant of success/happiness.” Henry Ford, a world-renowned entrepreneur also once said. .
Communication. You should write at least 120 words according to the outline given below in Chiness. The 21st century, is an age of information and knowledge. In such an age, interpersonal communication plays an increasingly important role both in the society and in a corporation. classmates. As for leaders or professionals need more information which largely depends on their communicative channels. Third, without the interpersonal communication, our life would become a desert lack of emotion and friendship. Last but not the least, communication between people makes our life lively, interesting and lovely. The picture shows that a migrant workers sitting on the stones said to a college students wearing in western dress and leather shoes "you spend money on University, but you have the same income with me". This reminds me of the attractive hot post on network《after returning home, I have no face to things: how do college students as migrant workers.》. In my opinion,this thing of college students and migrant workers are not comparable, because the former is the mental labor, the latter is the manual labor.We can't use the wage to judge the value of a person, it is not fair.For college students, our salary is not high at the beginning of work indeed, we need to accumulate some experience. independently.In the university we have time and capacity of thinking about our own thinking about society .We will not repeat word for word what others say and have the ability of thinking independently and we could judge right and wrong.We have understood the complexity and diversity of society and human nature,and we will be more rational. All in all,the university is a kind of investment,profit and loss depends on yourself.We college students should make use of existing resources to improve ourselves. When working with other people, verbal communication is only one way that you show others emotion, approval, disappointment and confidence. How you walk, how you position yourself when talking and how you use your facial expression are all cues that other people rely on when making assessments about your abilities and current state of mind. The more you understand body language and its affect on others, the better you will be in communicating with co-workers, bosses, clients, vendors and others you encounter during the day. By making simple adjustments to your posture, facial expressions and mannerisms, you can improve the way others view you. Assessing how people view you is necessary in order to make changes. Ask those around you whose opinion you can trust to determine where improvements need to be made. * Maintaining a relaxed posture while walking or during a meeting. Relaxed posture indicates you're comfortable in your surroundings and not under stress. Even if you experience stress while working on a project, when you reduce the appearance of stress, those around you will feel more comfortable and will have more faith in your abilities to lead, delegate responsibility and manage the project. distraction to those around you. These mannerisms can make you appear anxious, unprepared, unorganized, and stressed even if you're not. Learn how to control these mannerisms by taking note of when they occur, how often they occur, and consider ways to alter them. Many times, mannerisms are just old habits that need to be broken. * Learning how to control your facial expressions can help you become more successful in the workplace. If people often ask if you're upset or angry, it may be because you're constantly frowning or you appear sad. Change your facial expressions by practicing in the mirror. Find an expression that is relaxed and calm and make an attempt to wear it as often as possible around others. Once you're learned how to use your body language to communicate more effectively in the workplace, you will notice a change in how others react to you. If you're always the last person in the office to know when something is wrong, then maybe you need to pay closer attention the signals others are sending through their body language. Noticing how people walk, how they carry themselves and how their faces appear during the day can provide you with many clues. Even though they may be sending the wrong signals, you should still take note of them so you can assess situations more confidently instead of relying on the perceptions of others. Becoming more observant of body language when hiring new employees can also help you choose the right candidates for positions available. Take notice of how they present their resume to you, how they sit and how their facial expressions change as they talk about prior job experiences. Use your observations in conjunction with their resume and references to determine if they are right for the company you work for. Nowadays fewer and fewer students pay attention to their spoken English, which results in a dramatic increase in the number of students who can spell English words but are incapable of speaking them fluently or correctly. This phenomenon has aroused many people's attention. Why does such a phenomenon emerge? As far as I'm concerned, there are possibly two reasons contributing to this phenomenon. On the one hand, exam-oriented education makes many schools lay emphasis on passing the English exams, which leads to the lack of speaking environment for students to practice their spoken English. On the other hand, students themselves don't realize the importance of the ability to speak English which has a great influence on their future study and career development. To change this situation, I think we can take the following measures. First, the importance of oral English should be emphasized to raise students' awareness of the necessity of speaking English. Second, exams should be modified to make students pay attention to their spoken English. 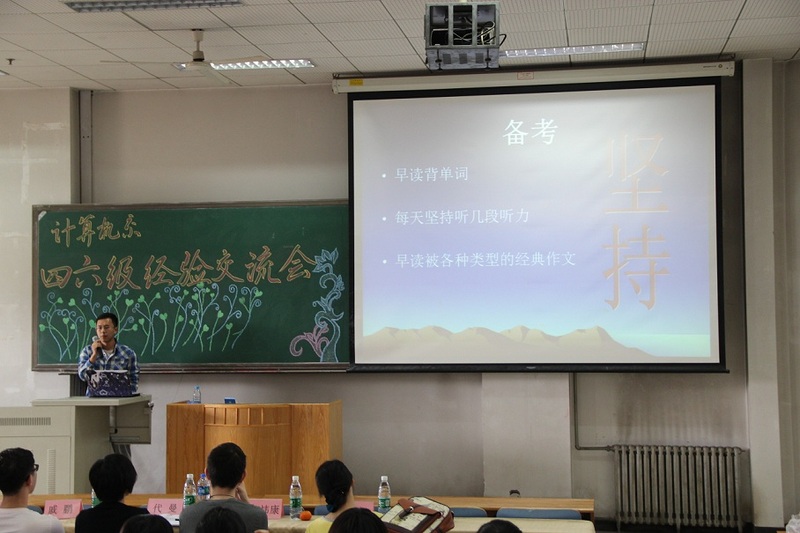 Third, schools can organize various activities to arouse students' interest in speaking English.